ICARO International Training took place from the 12 to the 16 of November at the Hamburger Volkshochschule (Hamburg). This training programme counted with the participation of five selected volunteers. 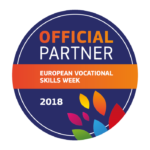 The volunteers were adult educators or counsellor guides and were selected by the national partners in their home countries (Servicio Regional de Empleo y Formacion de Murcia; KEK Tehnikes Sholes Epimelitriou Irakleiou; Socialiniu Inovaciju Fondas and Hamburger Volkshochschule). Explanation on different training modules to be delivered later with unemployed adult learners. Practical tests among peers on different potential situations that may appear during the training with adult learners. Tuesday: A role game was organsied with met cards in order to develop a six steps goal mapping. The aim of the meta cards was to identify the barriers or obstacles that the target group can encounter and support them to improve their confidence. Wednesday: Volunteers learn on that day, that even if each country has different resources but same problems can be encounter in different countries. With true collaboration, thanks to ICARO, it’s possible to make it. Thursday: No matter where your career will guide you, you should keep learning and improving your skills for the future. Friday: Finally, GRETA competence circle was presented by Hamburger Volkshochschule. This system is developed by all mayor umbrella organisations of Adult Education in Germany with the view to bring that on the EU-level. GRETA in Innovative and Improvement + Competence and Commitment + Assessment, Attitude + Reflection Rolling = Optimistic Outcomes.